Fourteen-year-old Calogero, his uncles, and his cousins are six Sicilians living in the small town of Tallulah, Louisiana, miles from any of their countrymen. They grow vegetables and sell them at their stand and in their grocery store. Some people welcome the immigrants; most do not. Calogero’s family is caught in the middle of tensions between the black and white communities. 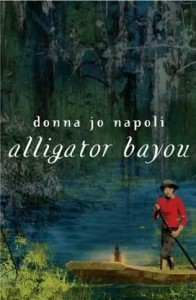 As Calogero struggles to adapt to Tallulah, he is startled and thrilled by the danger of midnight gator hunts in the bayou and by his powerful feelings for Patricia who is African American. Meanwhile, every day, and every misunderstanding between the white community and the Sicilians, bring Calogero and his family closer to a terrifying, violent confrontation. 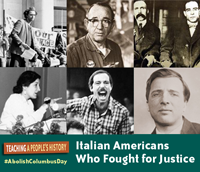 Based on the true story of the lynching of 11 Italians in New Orleans on March 14, 1891. Read more on the Know Louisiana website. ISBN: 9780553494174 | Published by Wendy Lamb Books.